Trying to understand what a data set is and when multiple ones would be needed. I have a client who needs fillable form ability. She has a single form with 6 pages with a signature – what option would I need in this instance to present to them. A dataset is all the data that is entered into a web form when the form’s submit button is clicked. 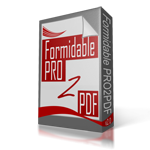 If you have one PDF (or paper) form with 6 pages, then you would only need one web form and one fillable PDF form. Let us know if you have additional question or need further assistance with your project.